NEC 2014 section 690.12 requires that inverters must be installed within 10 ft of the solar array to meet rapid shutdown requirements. Inverters must also be elevated to meet new fire safety codes. 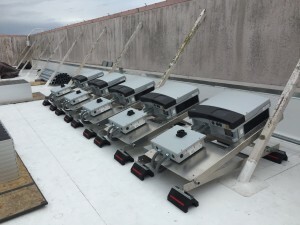 The easiest way to achieve this is to mount inverters on racking, but since manufacturing these isn’t in the realm of most inverter manufacturers’ specialties, third-party companies are stepping up to offer a standard solution. 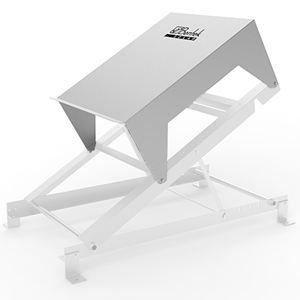 For example, Bentek offers the PowerRack, an inverter rack that comes in steel or aluminum and works with most three-phase inverters including models from ABB, Advanced Energy, Chint Power Systems, Fronius, Schneider Electric, SMA America, SolarEdge, Solectria Renewables and SunGrow. 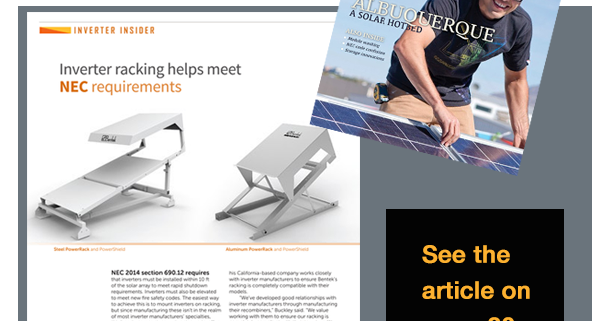 Read Inverter racking helps meet NEC Requirements in Solar Power World Magazine.